Home / Top 10 Thai Property Developers – Who Are the Best? Top 10 Thai Property Developers – Who Are the Best? Condo advertisements are everywhere in Thailand. 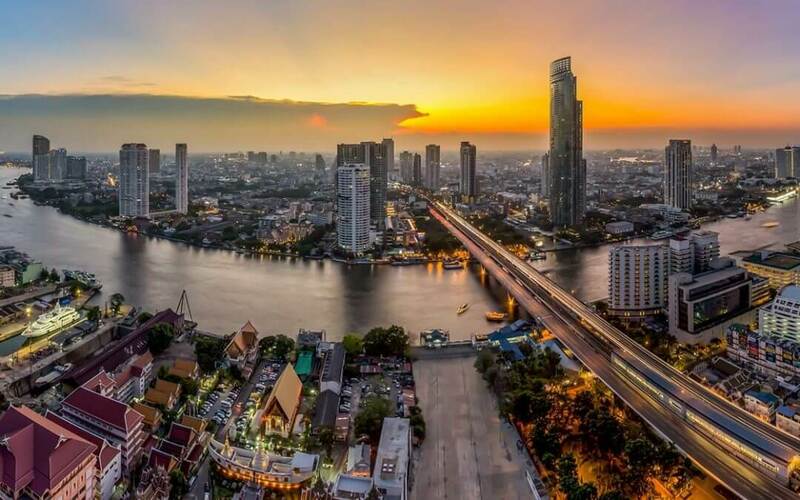 Whether you’re on the skytrain, driving on the expressway, or just walking around Bangkok, you’ll find lots of real estate developers pitching their projects. Practically any business can lease a billboard or buy an advertisement online. But who are the best property developers in Thailand? For the most part, Thailand’s top property developers are all listed on the nation’s stock exchange. Public companies are responsible to shareholders and must meet strict financial standards. You’re generally safer buying property from a listed developer since they’re accountable to others besides just themselves. A developer’s history is equally important. You should look at their number of successful projects, record of meeting deadlines, and quality of their previous buildings. With all that said, below are ten of Thailand’s top real estate developers. For the purposes of this guide, we’re focusing mostly on condominium projects. Most developers build a bit of everything including houses though. Not being included here doesn’t necessarily make other companies bad. Just be careful and check any developer’s history, finances, and reputation. And to make things clear: nobody paid me for this guide. It’s based purely off my eight years’ worth of experience in Thailand’s property market as an investor and owner of multiple properties. Founded in 1984, Sansiri is one of Thailand’s oldest and largest real estate developers. It’s perhaps the nation’s most reputable too. They boast dozens of different projects and sell just about every type of residence. Whether you’re buying a condo, townhouse, or mansion, Sansiri an experienced builder. 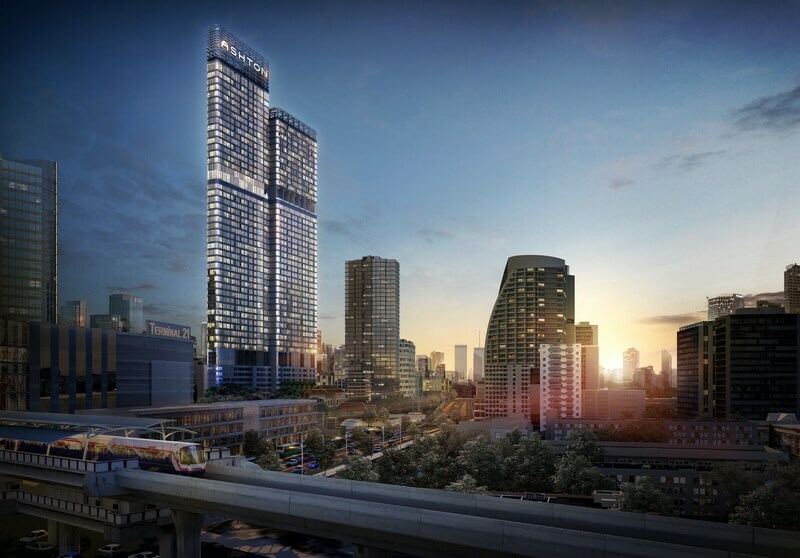 Sansiri is one of few Thai developers that extensively covers every price point. 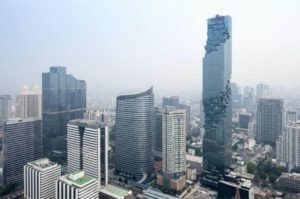 They sell everything from entry range condos to the most expensive building in Thailand – and they do everything rather well. Yet even Sansiri isn’t without controversy. Back in 2013, garbage was found stuffed in the wall of a newly finished condominium building. This sparked public outrage over quality control in Thailand’s construction industry. Nonetheless, the majority of Sansiri projects have been completed with excellent standards. They enjoy one of Thailand’s best developer reputations. Land & Houses is another well-established company. In fact, they’re Thailand’s oldest large property developer. You might have guessed from its name that Land & Houses focuses on townhomes, moo baans, and other landed projects. If so, you’re indeed correct. Foreigners cannot own land or houses in Thailand. But as one of the country’s biggest developers, LH has hundreds of properties covering all types, styles, and price ranges – including condos. Many of LH’s luxury developments are sold under the Quality Houses (QH) brand. They’re actually separate firms, each listed on Thailand’s stock exchange. Both enjoy the same build standards and ownership though. 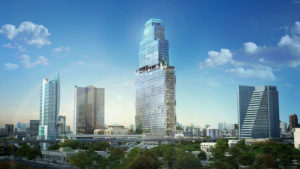 Focusing on the high-end sector, Major Development has been developing condos in Thailand since 1999. It’s managed by the Poolvoralaks family – one of Thailand’s wealthiest. They also own movie theater chain Major Cineplex along with several other businesses. 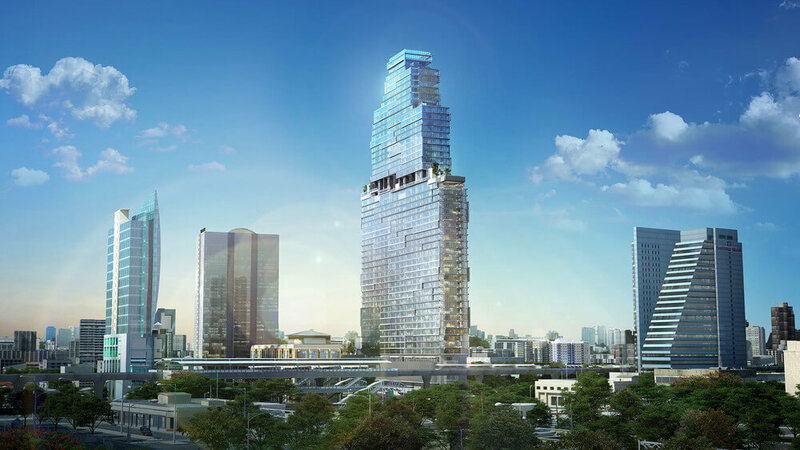 Major focuses mainly on luxury condos in Bangkok. Yet they’ve diversified more into offices, hotels, and the mid-end sector over time. The company’s projects are usually focused around a specific concept. For example, their Manhattan Chidlom project is New York themed while Aguston Sukhumvit 22 clearly has a Spanish vibe. Like the other two best property developers in Thailand, Major enjoys a strong reputation, decades of experience, and tons of financial resources. Covering all segments of the Thai property market, the fourth entry on our list is among the nation’s most versatile developers. AP builds townhomes, condominiums, single-houses, and home offices for just about every different price range. However, they focus on the entry level segment more than others. 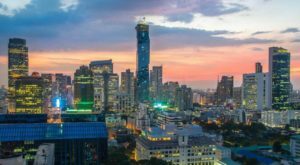 With luxury condos in Bangkok outperforming cheaper ones in recent years, AP has tried diversifying into the ultra-luxury sector. It’s a business plan several Thai real estate developers are using to counter a supply glut of tiny, one-bedroom apartments all across Bangkok’s suburbs. Unfortunately, AP hasn’t had much success. The firm’s latest ultra-luxury project in Phrom Phong went through a name change and still isn’t near sold out four years after its launch. You should consider buying into an AP project if your budget is between 2 and 4 million baht. But the more established luxury developers on our list are probably better if your price range is beyond that. Ananda is new compared with other top developers on this list. Regardless, they quickly became one of Thailand’s most respected real estate companies. Convenience and design are two of this developer’s hallmarks. Their condos show a modern, often futuristic style. A typical Ananda project is dense with small unit sizes averaging around 30sqm. Yet they’re in prime locations within easy walking distance to BTS and MRT stations – sometimes right next to one. Their target market is young, urban professionals who are well-paid and strive for a convenient life near public transport. This strategy works well for Ananda which has very strong sales growth. Notably, Ananda Development’s projects are almost always finished on time. In fact, they will more likely complete a building ahead of schedule rather than before. It’s a welcome contrast to some other property developers in Thailand that are always years behind on their promises. SC Asset is among Thailand’s most controversial companies – its founders are the Shinawatra family. Direct relatives of fugitive ex-prime minister Thaksin Shinawatra hold the majority of SC Asset’s stock while its current deputy CEO is Thaksin’s son-in-law. 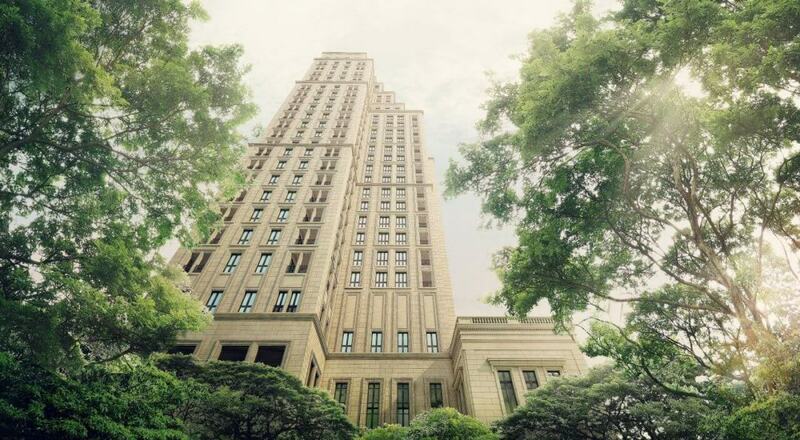 Nonetheless, politics can’t remove SC Asset from our list of best Thai real estate developers. Design, build quality, and professionalism are more important. The firm used to be a “jack of all trades” like many developers we’ve covered thus far. But SC Asset shifted toward the premium market at a superb time… right before high-end properties doubled in value earlier this decade. As such, luxury condos in prime areas like Thong Lor and Saladaeng helped fuel a surge in SC Asset’s growth. They built a strong reputation at an opportune time, becoming the fastest growing developer in our top ten. Founded in 1991, Noble was a rather obscure developer up until recently. However, a new business model focusing on prime locations and Thailand’s rising class has done incredibly well for them. 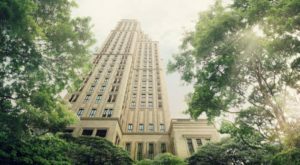 Noble mainly focuses on mid-to-high end condos. Like Ananda, they found a niche market in projects that are conveniently located with quality finishing… yet sacrifice unit size to achieve those things at a fair price point. As such, Noble’s developments usually have a high price per square meter (~THB200,000) and aren’t ideal for large families. Working professionals don’t mind paying a premium for location though. For better or worse, every Noble project has a similar architectural design. You can easily distinguish a building developed by Noble after just a quick glance. Their chosen style is minimalist, modern, and functional. Critics would say the design is uninspiring, bland, and blocky. Unlike lots of other developers on this list, Supalai focuses almost exclusively on the low and mid-end sectors. But they enjoy a strong reputation not having an upscale brand name. Supalai developed over a hundred projects since it was founded in 1989. They saw Thailand’s rapidly emerging middle class and understood how to profit from its boom years during the decades which followed. Yet rising luxury condo prices combined with oversupply in the low-end market caused Supalai to build more expensive properties lately. They’ve tried diversifying into high-end projects with little success. From a marketing perspective, it’s much harder for a low-end brand to sell luxury products than the other way around. Think about buying a Supalai project if your budget is below 2 million baht. Otherwise, you should look at one of Thailand’s upscale developers like Major, Sansiri, or Pace. Pace’s previous condo developments are among Bangkok’s finest. Unfortunately, they have ran into serious financial problems. Years of poor management, debt-fueled business expansion, along with an ill-conceived venture into the food industry left Pace strapped for cash. 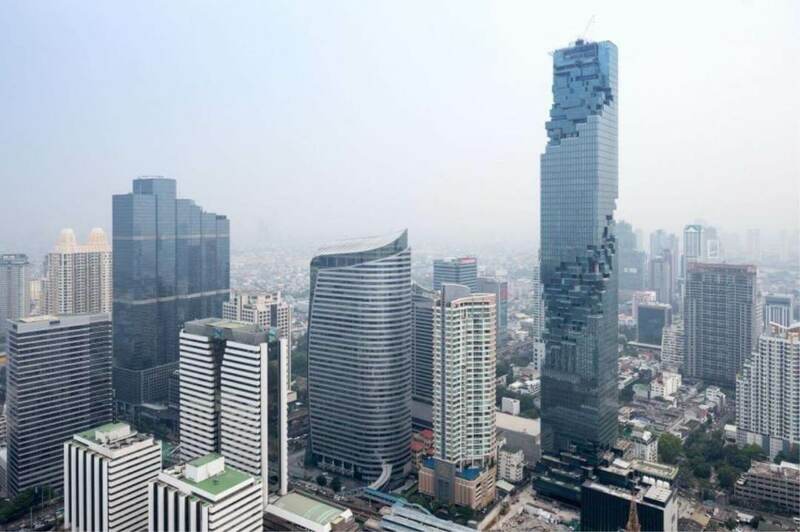 They’ve recently been trying to offload assets and were even forced to sell their flagship skyscraper Mahanakorn. Nonetheless, it doesn’t take away from their past success. Pace is responsible for some of Bangkok’s best condo buildings and most stunning architecture. The kind of ultra-luxury projects they built are truly unique. Consider Pace’s projects if you’re buying a resale luxury condo unit priced above 10 million baht. I’m not sure what the future holds for the company itself though. Our second company that focuses on entry-level projects, Pruksa is Thailand’s largest developer by some measures. They directly compete directly with Supalai. Both these low-end developers are a similar size while each were the country’s biggest at one point. Pruksa is among the rare Thai real estate firms with a global presence too. 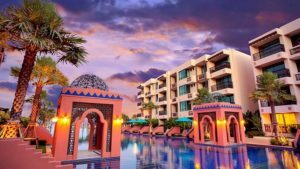 They have properties in the Maldives and India, seeming intent on expanding internationally. Like other low-end developers, Pruksa made the bad mistake of diversifying into the high-end sector recently. Their brand name proved mostly unsuitable for costly projects and Pruksa’s stock price fell over the past few years. Businesses often can’t seem to understand what they’re best at and stick with it. Developers that are sharply focused on a profitable niche usually enjoy greater success. Are Other Thai Property Developers Good? There are probably a dozen other good real estate developers in Thailand that were not included on this list. I have nothing against them: they simply didn’t make our top ten. Are you thinking of buying property from a company not listed above? Don’t worry, it might still be fine. However, as noted further above, you should be cautious of developers that aren’t publicly listed on the Stock Exchange of Thailand. You should be even more careful about developers that only have a few finished projects. Or worse yet, none at all. Check Facebook and Google reviews of a developer’s completed condo projects before you buy. See what the residents think. Visit one of their buildings to see the community vibrancy… or lack thereof. To summarize: choosing a developer is one of the most crucial parts of buying property in Thailand. It can make the difference between buying a quality home on schedule or buying a complete mess years later than expected. 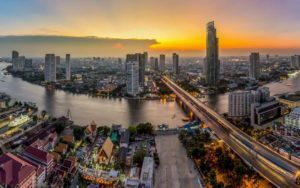 Finally, you may want to read our free guide to buying property in Thailand if you’re ready to invest here.